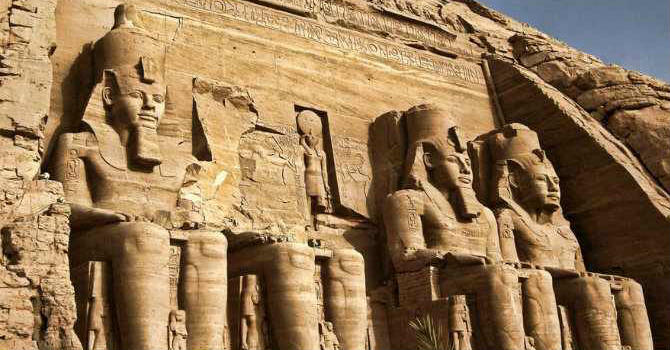 Our professional Egyptologist guide will meet you in Aswan hotel or cruise dock, pick up early in the morning then privately transfer with modern van to explore the majestic temples of Abu Simbel. It is a personalized tour to explore this famous temple that is believed to be one of top ancient Egypt temples and completely relocated after an international efforts leaded by UNESCO to protect it from the Nile floods caused by Lake Nasser. The guide will give you an in depth insight into the history of the site including how both temples been discovered by accident in 1813 AD. Kindly note that guides are not allowed getting inside either the Great Ramses II Temple or the smaller Temple of Hathor thanks to the large number of travelers visiting it daily.